Mildred I. Zimmerman passed away peacefully on April 4, 2018 in her home of 68 years. She was in her 96th year. A woman blessed with many talents, she led a fulfilling and productive life, devoted to family, flying, and helping those in need. She became interested in flying at an early age, initially because the man she loved was an avid pilot. As time went by, the romance blossomed, as did her love of flying, and she continued to grow both relationships for years to come. Her interest in flying led her to many exciting adventures and accomplishments. In 1949, at the age of 27, she established the world’s altitude record for planes in her category. Her grandchildren have always teased her, saying that no one would ever break her record, as that type of plane isn’t being made anymore. As WW II approached, she participated in the Civilian Pilot Training Program as a flight instructor at Dickinson College in Carlisle, PA, during which time she trained scores of young people to fly for the Armed Forces. As one of only a few women in the program, she always said that she enjoyed having a man hold her chair, open a door for her, and stand when she came into the room, but she preferred to crank her own propeller. In 1958, she and her co-pilot were participants, finishing in 7th place, in the annual Powder Puff trans-continental Air Derby, a 2100-mile race from San Diego to Charlestown, SC. With a commercial license, she was a sometimes corporate pilot for about 25 years. Being very petite in stature, she once landed a jet in which she had to stand up on the brake pedals to stop the plane before reaching the end of the runway. At 49, when her husband was killed in a tragic accident, her life took a new twist, as she devoted much of her time to helping those less fortunate. Some of her favored activities were the Play Lady Program at the General Hospital, working tirelessly to organize transportation for summer campers through the Mental Health Association, and spending a decade feeding breakfast to the homeless at St. James’ Episcopal Church. 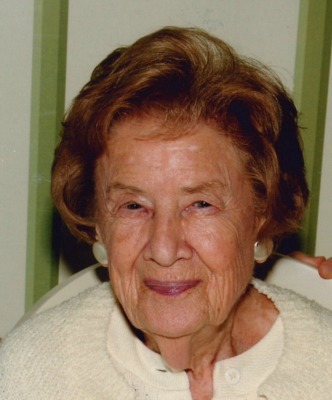 As a member of the Lancaster Country Club, she also enjoyed playing bridge, golf, and tennis with friends. In the early 70s, as her grandchildren came along, she was the consummate “Nanna”, always introducing them to new places and exciting adventures. Well into her sixties, she could still be seen with them on a toboggan, careening down her steep backyard hillside and then pulling them up the hill behind her. She will be sorely missed, but the gifts and wisdom that she imparted to her family will be cherished forever. She was pre-deceased by her husband, E. Reed Zimmerman. She is survived by a daughter, Cathryn Z. Appel (wife of James W.), two grandsons, James Z. Appel, III, MD (married to Leonie) of Charlotte, NC and Thomas E. Reed Appel, Esq. (married to Yuliya) of Alexandria, VA, and five Appel great-grandchildren, Hadley, Reed, Adrian, Peyton, and Gordon. There will be a private service at the convenience of the family. If you are so inclined, please make a donation in her honor to the charity of your choice. Cathy, My thoughts are with you and your family at this most difficult of times. I always remember you Father and Mother as the pilot and co-pilot of my first airplane flight. They flew New Holland Machine’s DC-3 to Rocky Mount North Carolina with many of the New Holland Executives for the funeral of one of their district sales managers. Your Father often allowed my Dad to ride in the co-pilots seat giving him flying lessons while flying to business affairs. How kind of you to share your memories of that era. We were all children then, but we certainly had wonderful times together on all of those many trips. I have fond memories of the Zimmermans from their occasional visits to the Lancaster Airport Coffee Shop, which my parents operated, in addition to aviation programs. I remember Reed once introducing Cathy and Jim to my mother at the counter. Wonderful people! Thank you for your special memory and your kind comments. It is very comforting to hear from people who touched Mother’s and our lives. My thoughts are with you Cathy and your family. She was a great lady, always warm and welcoming to my family, from my grandmother to us kids. We missed having her at our Christmas celebration the past few years, as she stopped in regularly to see mom and dad when they came up from Florida for the holiday. We always enjoyed her company. Thank you for your kind thoughts and insights. Your family provided a special niche of memories for Mother and for me, as well. We all loved spending time with you, and I will never forget your family’s “supervision” of me the summer I spent in France. It was comforting to Mother and Daddy that you were there for me. I had the pleasure of meeting Mildred at St. James Episcopal Church while feeding the homeless breakfast. She was a remarkable woman who was ahead of her time in her aviation accomplishments. I loved listening to Mildred retell her stories of flying and teaching pilots during World War 2. Most importantly, Mildred was a very down-to-earth person who had the graciousness to put everyone at ease. I especially loved hearing stories about Ashland since we both grew up in Schuykill County. I am so sorry for your loss and hope your memories will sustain you in the coming months. It was nice to hear from you and to evoke those memories of the early years in “the Day Room”. We were a busy team, but still found time to share stories. Thank you, so very kindly, for your lovely remembrances of Mother. I know how much she enjoyed your company.